Good afternoon everyone, Jay Asser here giving you a bitesize look at what’s going on today in the world of sport. 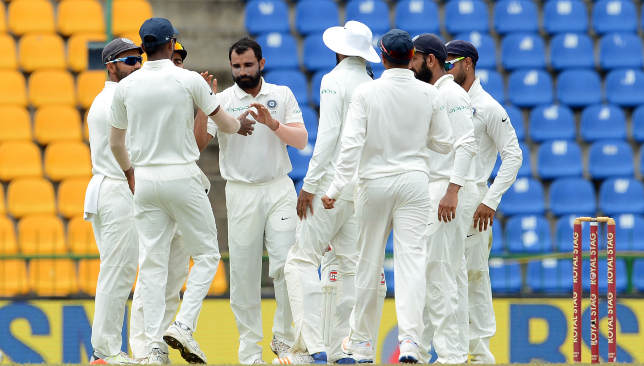 India are in complete control of the first Test against the West Indies after declaring on 649 and taking five early wickets with the ball on day two in Rajkot. Captain Virat Kohli was once again masterful to pick up his 24th Test century, becoming the second-quickest batsman to reach the mark, while youngster Rishabh Pant came oh so close to nothing his own ton as he fell on 92. In total, the hosts piled up 142 runs in the morning session before decimating West Indies’ early order with wickets of Kraigg Brathwaite, Kieran Powell, Shai Hope, Shimron Hetmyer and Sunil Ambris. Don’t miss any of the action by following our live ball-by-ball updates. 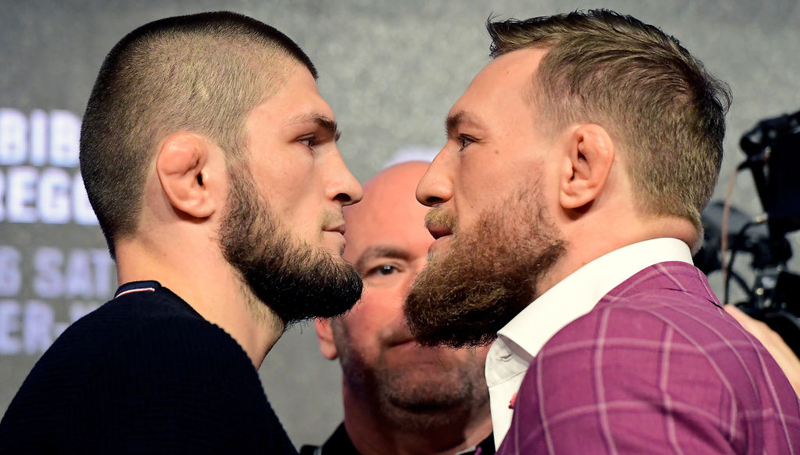 The big fight is almost here as UFC 229 is set to feature a mega clash between Conor McGregor and Khabib Nurmagomedov for the lightweight championship in Las Vegas. The mental warfare has already begun as McGregor failed to turn up on time for the presser on Thursday, only for Nurmagomedov to take off before the brash Irishman could arrive. Our man Alex Rea looks at how the contrasting styles and personalities of the two fighters makes for a compelling narrative, while our panel answers the pressing questions and offers their predictions. No one disagrees that Manchester United should be doing much better than they are, including Jose Mourinho. 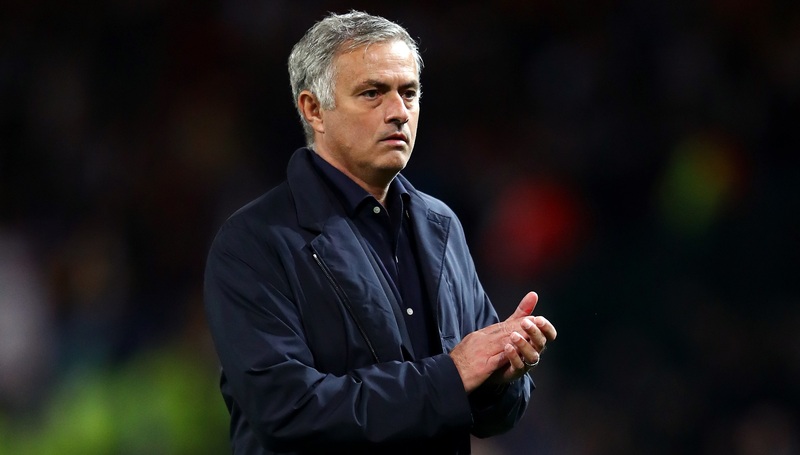 The Red Devils boss admitted his team’s recent results are not acceptable ahead of a meeting with Newcastle, who could pile even more pressure on at Old Trafford. Elsewhere, Chelsea boss Maurizio Sarri sent a message to Alvaro Morata after the striker scored the game-winner against Vidi in the Europa League, with the boss saying he wants to see more goals and more tears from the Spaniard. Arsenal struggled for their Europa League win over Qarabag, but boss Unai Emery was just fine with seeing his team claw for the result. 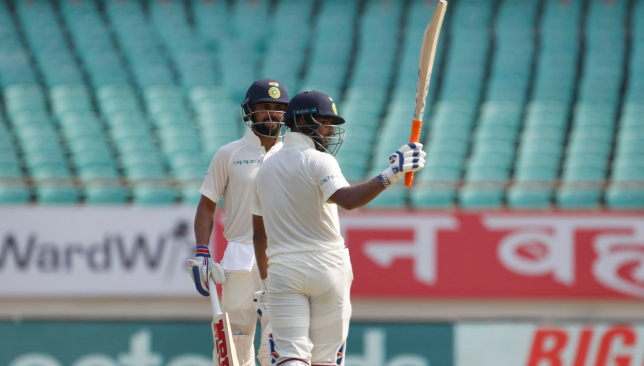 After Rishabh Pant made an impressive 92 runs in India’s first innings against the West Indies, our man Ashish Peter broke down his fine display. Check out what Pant got right, got wrong and a verdict on his performance. Sangakkara has welcome Sri Lanka Cricket's decision. Organisers of the UAE’s first owned international T20 league, UAE T20x, today announce Kumar Sangakkara, as the fifth icon player to sign up for the inaugural tournament, which is set to take place from December 19 – January 11. Sangakkara’s announcement follows the news that Pakistani legend Shahid Afridi will also join the league alongside cricketing icons from around the world including England’s Eoin Morgan, South Africa’s David Miller and West Indian Andre Russell. Speaking on the day of his reveal, Sangakkara said: “UAE T20x brings a new evolution to T20 cricket, a format that is already driven by innovation and progress. “Its dedication to being one of the most globally representative leagues in the world, and commitment to promoting young talent, is an inspirational vision, and I can’t wait to be a part of this unique league”. He added: “The UAE is truly becoming a world class destination for cricket. The facilities here are beyond excellent, and they’re constantly improving. If there was ever a player to embody the definition of the “gentleman’s game”, Kumar Sangakkara is widely regarded as that player. Bringing together a well-spoken demeanour, sportsmanlike politeness, and outstanding batting abilities, Kumar Sangakkara continues to stand out as a unique figure in the world of cricket. The two-time cricket world cup finalist also boasts a number of unrivalled career records, including being the fastest player to reach 11,000 and 12,000 runs in test cricket, being the first and only batsman to score four consecutive hundreds in One Day Internationals (ODIs), and the first batsman to score half a century in two difference ICC T20 World Cup finals. UAE T20x will make its debut this December with five new franchise teams vying for the inaugural title in a 22-match format to be played over 24 days. The five franchises will comprise a squad of 16 featuring six international star players, four emerging and junior players, three ICC Associate Member players, and three UAE national team players. No other T20 competition has been established with these developmental goals at their core, and no other event will showcase such a wide array of international talent. 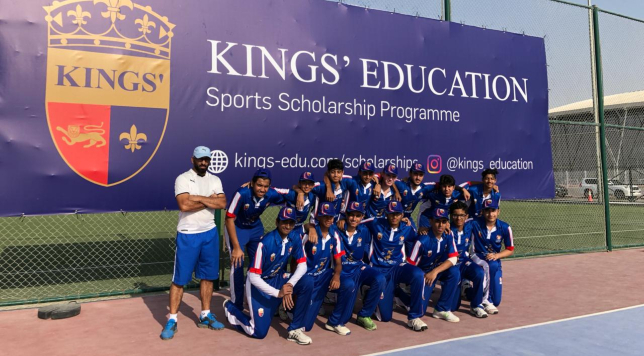 Varun Jaganath could not have asked for a better start to the Emirates Cricket Board’s Inter-Academy tournament as his unbeaten century helped Kings Cricket Academy to a 43-run victory. Making their debut in the annual competition, Kings faced the UAE Women’s side on their home turf and they made the most of home conditions. Batting first, Kings made a poor start with opener Hamad Arshad and Sahil Karkera departing early but Jaganath came at the crease and rebuilt the innings with a solid ton. The number three batsman scored 111 not out, smashing nine boundaries and seven sixes in his 63-ball knock. His innings was crucial as Kings reached 238 after being bowled out for 29 overs. UAE all-rounders Subha Srinivasan and Esha Oza took three wickets each. Oza then scored 57 for the UAE but they were restricted to 195-8 after Arshad finished with 3-26.